The Hurricanes Hunters will have a chance to end their season unbeaten when they meet Japan A in Tokyo on Saturday. 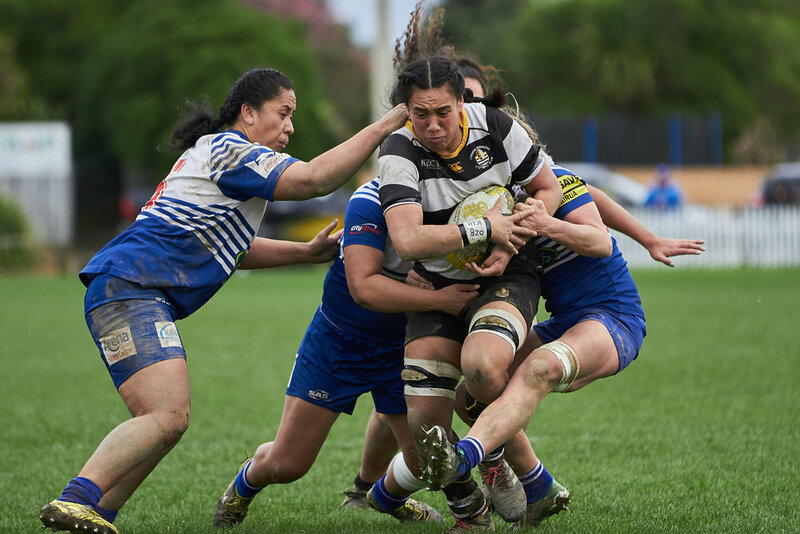 The match is the second time the two sides will meet after the Hunters won their first encounter 52-31 in Porirua last month. Hunters coach Darren Larsen has made nine changes to his starting XV from the last match. Hurricanes Super Rugby squad member Peter Umaga-Jensen returns to the run on side after he scored a try off the bench at Jerry Collins Stadium. He is joined by fellow squad members Alex Fidow, Geoff Cridge, Salesi Rayasi and Heiden Bedwell-Curtis who will captain the side. Rayasi and No 8 Teariki Ben-Nicholas were two of the stand-out players against the Jamie Joseph coached Japan A side in their first meeting with both men scoring a brace of tries. The Hunters bench features a number of promising players who have been involved in the Hurricanes development programme at age-group level, including former Wairarapa Bush halfback Isaac Bracewell who started in the Hurricanes Heartland Under-20 side. "This is a massive opportunity for a large number of players who get the chance to play an international side," Larsen said. "It also allows them to experience preparing and playing overseas alongside fully fledged professionals." Wellington City Council and Te Taura Whiri i te Reo Māori have signed a mahi tahi agreement with the goal to work together on revitalising te reo Māori in the capital city. Mayor Justin Lester and Te Taura Whiri CEO Ngahiwi Apanui signed the agreement at a small ceremony on Monday, April 15. “This whakaetanga kia mahi tahi is a great opportunity for Wellington on our journey to become a bilingual te reo Māori and English city,” Mayor Justin Lester says. “We have already partnered with Te Taura Whiri on projects such as the haka pedestrian lanterns and te reo Māori street flags, so formalising the relationship is important. The mahi tahi (work together) agreement commits the two organisations to combining resources to increase the use, status and modern-day relevance of te reo Māori. This could include advice, research and planning support, collaboration on projects in the city, the sharing of language resources, partner on events of city, regional and national significance. Wellington City Council also agrees to use licensed translators for publications and promotional material, and interpreters at public events when required. “We need partnerships like this to help us put the building blocks in place for a New Zealand that embraces and proudly speaks te reo Māori,” Te Taura Whiri CEO Ngahiwi Apanui says. The agreement was an item in the action plan of Wellington City Council’s Te Tauihu policy. I waitohua e te Kaunihera o Pōneke rāua tahi ko Te Taura Whiri i te Reo Māori te whakaaetanga e mahi tahi ai rāua kia rauora ai te reo Māori i te tāone matua. I haina te Koromatua a Justin Lester me te Tumuaki o Te Taura Whiri i te Reo Māori a Ngahiwi Apanui i te whakaaetanga i te Rāhina 15 o Paengawhāwha. “He huarahi whakahirahira tēnei whakaaetanga mahi tahi e tere ai a Pōneke i tana haere kia reo rua ai tō tātou tāone,” hei tā te Koromatua a Justin Lester. Ka here te whakaaetanga mahi tahi nei i ngā whakahaere e rua ki te whakatōpū rawa e nui ake ai te whakamahinga, te mana me te hāngai o te reo ki te ao o muri nei. Ka tae atu tēnei ki te tuku whakamāherehere, te rangahau, te tautoko i te whakamahere reo Māori, te tohatoha rauemi me te mahi tahi i ngā kaupapa reo mō te tāone, te rohe me Aotearoa whānui tonu. E whakaae ana hoki te Kaunihera o Pōneke ki te whakamahi i ngā kaiwhakamāori kua raihanatia ki te whakamāori i ngā tānga me ngā rauemi whakatairanga, ki te whakamāori ā-waha anō hoki ki ngā kaupapa tūmatanui a te Kaunihera. “Mā ēnei momo rangapū e ita ai te tūāpapa mō te Aotearoa matapopore, whakahīhī anō hoki i tana kōrero i te reo Māori,” hei tā Ngahiwi Apanui te Tumuaki o Te Taura Whiri i te Reo Māori. He kaupapa tēnei whakaaetanga i te mahere hohenga o te kaupapa here reo Māori a te Kaunihera arā Te Tauihu. The Hurricanes are excited to announce a three-year partnership with leading Japanese club Ricoh Black Rams. A long-time supporter and partner of the Hurricanes, Ricoh have extended that partnership in an agreement that is set to benefit both clubs. The partnership, which has recently commenced, will see players, coaches and high performance staff from Ricoh Black Rams spend time in the Hurricanes environment throughout the term, including while the Investec Super Rugby tournament is being played. On certain occasions, high performance staff from the Hurricanes will also travel to Tokyo to work with the Black Rams as they prepare and play in the Japan Top League. The partnership has already been put into practice this week with the Hurricanes training at Ricoh as they prepare to face the Sunwolves in Good Friday's Super Rugby match at Chichibunomiya Stadium. Hurricanes chief executive Avan Lee, who is in Japan, believed the partnership was an exciting step forward for the two clubs. "We have had a strong commercial partnership with Ricoh New Zealand and we are delighted to formalise this agreement which will benefit the Hurricanes and the Ricoh Black Rams in Japan," he said. 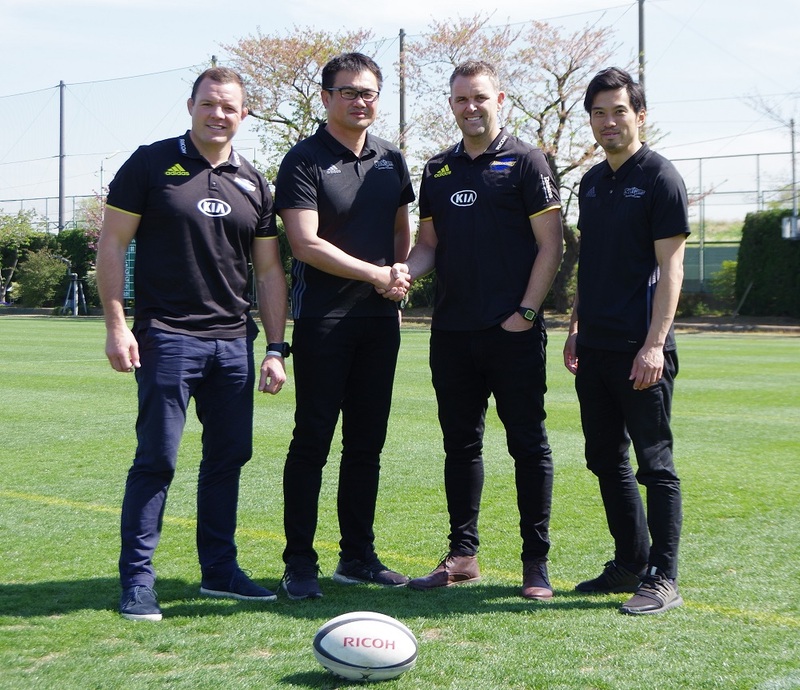 "It's a massive year ahead for rugby in Japan with the Rugby World Cup and we look forward to supporting the Black Rams and growing our presence here." As well as the Hurricanes playing the Sunwolves, the Hurricanes Hunters will face Japan A in the return leg of their home and away fixtures on Saturday. The Hunters, who defeated Japan A in Porirua in March, have named Black Rams midfielder Aki Makita in their squad after he spent several weeks training in Wellington with the Hurricanes. Waitohi brings together a new, larger library, with on-site café; Keith Spry Pool; Johnsonville Community Centre; and Whānau Manaaki Kindergarten; with access through to Memorial Park via a new outdoor landscaped area. The Council is looking to partner with a café operator to help achieve its vision for Waitohi – Te Manawa o te raki: the vibrant heart of the north. Waitohi is currently under construction and is due to open next summer. The Council expects more than half a million people will visit Waitohi each year. Café operators have until 5pm, 9 May 2019 to respond to the EOI. More information and EOI documentation is available on the Council website. A massive 92% of Wellingtonians said they support the project, this is significantly more than 84% when we last surveyed in 2017. Over one thousand people completed the survey (1008) from a demographically representative panel, as well as Wellington residents who opted-in to the survey. “Checking a trap, and enjoying tui or kākā in your backyard are now a regular part of life in Wellington” Councillor Foster said. Survey respondents' reasons for being involved in controlling predators varied, however most people wanted to protect native species and also people just don’t like having predators on their land due to the damage they cause to property and the diseases they can carry. Predator Free Wellington Project Director James Willcocks says "This is fantastic feedback from Wellingtonians and reinforces what we are hearing from people and their desire to live in a city where our amazing native species can flourish without rats, possums, stoats and weasels. “It is incredible to see so many Wellingtonians stepping up to define the type of city they want to live in by getting involved in all sorts of ways and it’s really encouraging to hear that even more people are wanting to contribute." Predator Free Wellington is an ambitious project which aims to increase native wildlife by making Wellington City free of rats, possums, stoats and weasels. The first phase of the project is to eradicate rats, stoats and weasels from Miramar Peninsula before extending throughout the city. The Miramar Peninsula was chosen as the initial area of focus as it has been possum free since 2006. As a peninsula it is more defendable from predator reinvasion. While work proceeds in Miramar, Predator Free Wellington will continue to support backyard trapping across the city and the other ways people can get involved. Wellington City Council is supporting a large number community groups trapping predators across its reserve network. The project is a partnership between Wellington City Council, Greater Wellington Regional Counci, mana whenua and the NEXT Foundation. It is also supported by central government’s Predator Free 2050 initiative. Wellington City Council and Auckland Council have developed New Zealand’s first gamified carbon calculator to help people to make choices to reduce their impact on climate change. FutureFit lets people work out the carbon impact of their lifestyle and lets them choose positive changes in the way they live to help reduce it. The change the tool helps will support New Zealand’s commitment to reduce greenhouse gas emissions and Wellington City Council’s goal to become a low carbon capital. The tool has been tailored for people in Wellington, Auckland and the “rest of New Zealand” and its calculations reflect the differences of living and transportation in those cities. It measures and quantifies individuals’ climate impact based across four categories – Transport, Food, Energy and Living. FutureFit then provides people with everyday actions and challenges, tailored to their personal carbon emissions profile, and will remind them each week via text or email for as long as they want to participate. People can share their results and have fun competing with others. Wellington City Council’s Climate Change Portfolio leader, Councillor David Lee, says the tool is a great use of technology to tackle New Zealand’s climate footprint. “The Council developed FutureFit as a key part of Wellington’s low carbon capital plan to support the community in reducing greenhouse gas emissions. Giving people information about the climate impacts of their lifestyles helps them make choices about what they do and consume,” says Cr Lee. People who use the tool would first estimate their carbon footprint, register to develop their carbon reduction actions and reminders, and even invite their friends, co-workers and whanau to a friendly competition to see who can reduce their footprint the most.